Got a garage full of spare bike parts? Sick and tired of buying bike parts site-unseen online and paying to have them shipped to you? Your prayers have been answered! 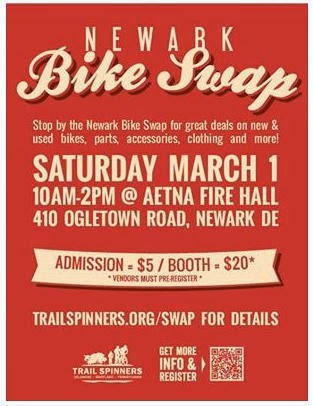 The 4th Annual Trail Spinners Newark Bike Swap is here! 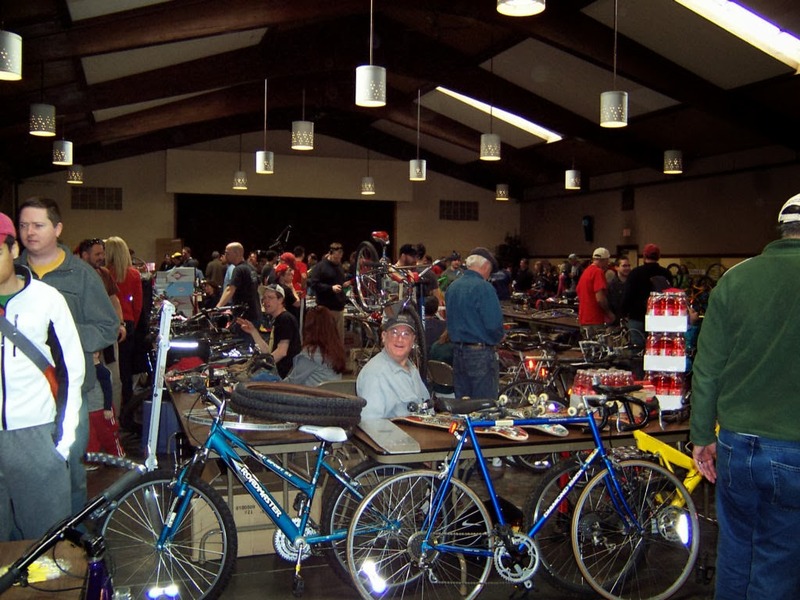 Stop by on Saturday March 1st for the fourth annual bike swap at the Aetna Fire Hall, located at the intersection of Rt. 273 and Kirkwood Highway in Newark DE, directly across from the new Wawa. The event features individuals and commercial (bike shops, etc.) vendors selling new and used bikes of all kinds, parts, accessories, clothing and more. Doors will open at 8:30am to VENDORS ONLY. The swap will be open to the public (shoppers) from 10am - 2pm. Lunch will be available for an additional cost. DATE/TIME: Saturday March 1st, 10am - 2pm. Visit the Event Webpage for complete details, including vendor rates, admission fees, a registration form, etc.